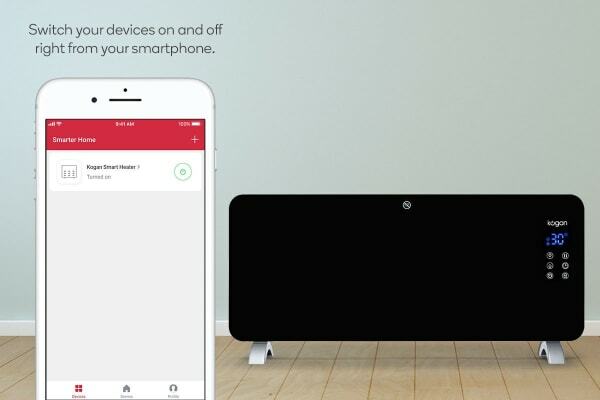 Heat up a room from anywhere with this smart, slim and easily portable heater. Ensure your home is always oh-so-toasty from anywhere and anytime in the world with Kogan SmarterHome™ 2000W Smart Glass Panel Heater. 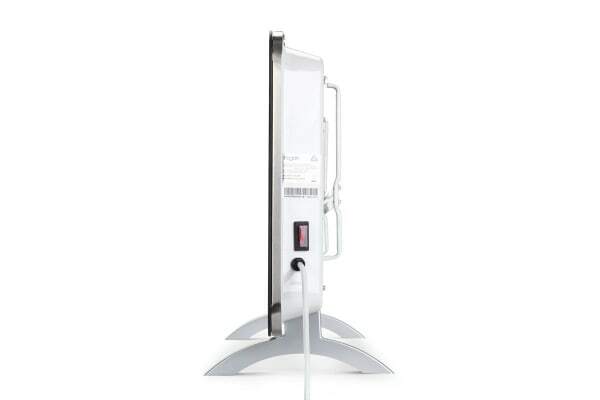 Connect the Kogan SmarterHome™ 2000W Smart Glass Panel Heater to your home Wi-Fi network and control it remotely via the free Kogan SmarterHome app. Adjust thermostat settings or set the timer from your phone, so you never come home to a cold house again. The Kogan SmarterHome™ 2000W Smart Glass Panel Heater warms your room quickly and evenly with a special ‘x’ shaped element that delivers sun-like warmth as it radiates forwards. With two heat settings and a thermostat control to choose the ideal temperature, just set via the LED display panel or Kogan SmarterHome app and the heater will do the rest. By setting a timer you can keep heating costs down and check that it’s off via the mobile Kogan Smarter Home app. And for warmth that moves around the house with you, the unit can easily be taken to a new location thanks to its easily portable and plug-in design. Alternatively, mount it to the wall in one room, for neat, space-saving use. For safety reasons, we recommend exercising caution and limiting the amount of time your smart heater or any electrical device in your home is left switched on and unattended. Connect your Wi-Fi compatible device to the Internet and control using a supported smart app or device. Connect and communicate with your smart home devices over Wi-Fi and control using a supported smart app or device.